The post production works of one of the most awaited Malayalam films of the year, Punyalan Private Limited is currently progressing at a brisk speed in Cochin. Written and directed by hit maker Ranjith Shankar, the film is a sequel to his 2013 super hit film Punyalan Agarbattis. Similar to its prequel, Punyalan Private Limited stars Jayasurya in the main lead role. The film also marks the maiden distribution venture of Punyalan Cinemas, jointly owned by the super hit actor-director duo Jayasurya and Ranjith Shankar. Jayasurya will be seen reprising the role of Joy Thakkolkkaran in Punyalan Private Limited as well. The film, tipped to be a satirical comedy, also stars an ensemble cast including veteran actor Vijayaraghavan, Aju Varghese, Dharmajan, Guinness Pakru, Sunil Sukhada, Vishnu Govind and Arya Rohit of popular Malayalam show Badai Bungalow fame. Punyalan Private Limited is said to be the story of Joy Thakkolkkaran and his new business firm Punyalan Private Limited and how he overcomes the difficulties facing from the system. 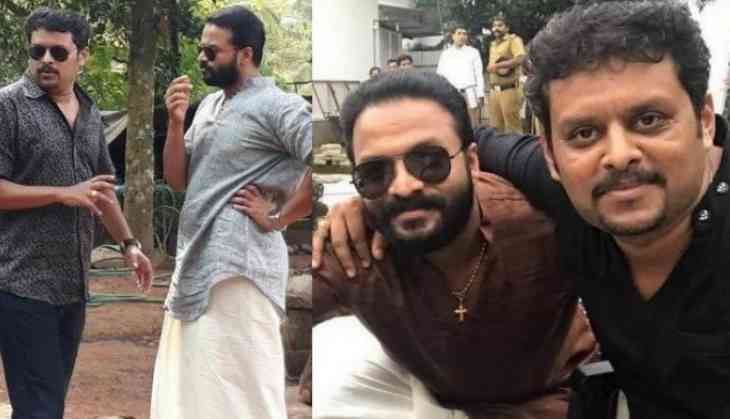 The film is also the fourth collaboration of Jayasurya and Ranjith Shankar after Punyalan Agarbattis, Su.. Su... Sudhi Vathmeekam and the 2016 horror-comedy thriller Pretham. Su.. Su... Sudhi Vathmeekam also won a special mention for Jayasurya at the National film awards.